Inquire about "Outside the Box". 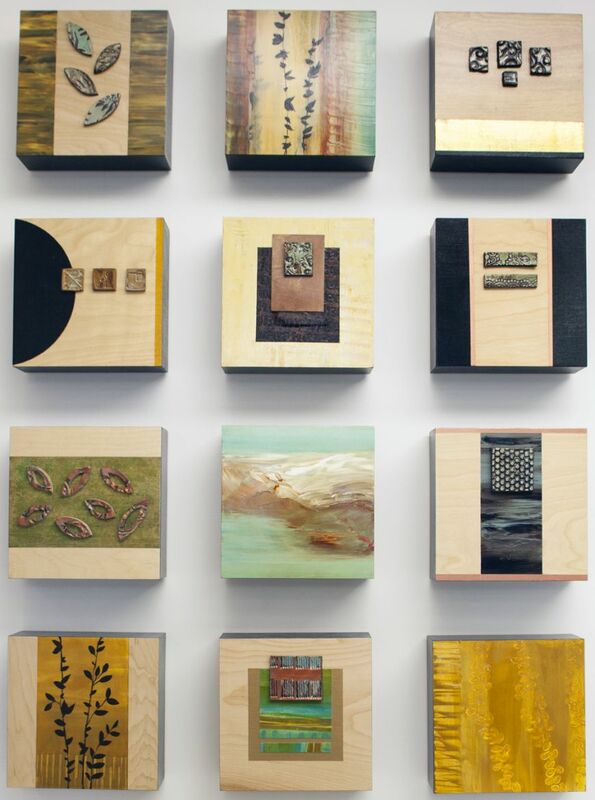 Inquire about "Outside the Box"
An on-going series of work, comprised of individual panels, each measuring 10 x 10 in. Each piece integrates a mix of mediums, including clay tiles that Cat makes each spring. Panels may be purchased on their own or in larger groups to create a high-impact wall sculpture.